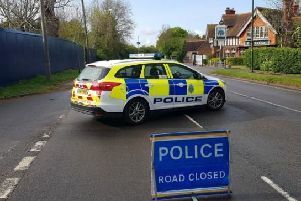 Repairs are currently being made to a water main which burst this morning leaving a number of homes in Haywards Heath and Lindfield without supplies. South East Water’s head of networks Jim MacIntyre said: “Some of our customers in the Haywards Heath and Lindfield areas may be without water or experiencing low pressure this morning. “This is due to a burst on a 14 inch diameter pipe from one of our water treatment works. “Our crews are on site and working as quickly as possible to repair the main. In addition, our team of experts are looking at ways to divert water around the network to keep supplies to as many customers as possible. “Our customer care team is working with our customers who are on our priority services register and may need extra support. “Unfortunately leaks and bursts do happen on our high pressure, extensive network of underground pipes which carry 521 million litres of water everyday through 9,000 miles of mains and more than six million joints. Sometimes those pipes and joints fail, but we do work around the clock to find and fix leaks and bursts.